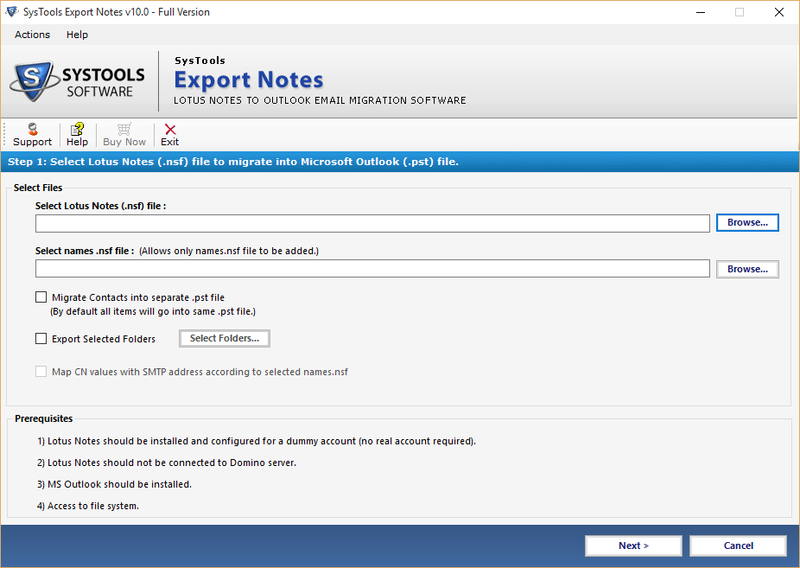 Allows the Batch Migration of NSF File to Outlook PST. Selectively Export Lotus Notes files to Outlook using Date Filter Options. Lotus Notes to Outlook Migration tool provides you the option to remove the encryption from NSF file setup by the user to enhance its security. To remove encryption, you just have to use the "Remove Encryption Option" of the tool. Sometimes it is the prime need of the user to processed only desired data for effective management. So Convert NSF to PST tool provides the enhanced option to select the folders which you want to migrate from lotus notes nsf file to Outlook PST. Lotus Notes to Outlook migartion tool provides the functionality of folder to folder mapping. Using this option, you can easily create the same folder hierarchy in Outlook PST file as similar to folder hierarchy in Lotus Notes NSF file. 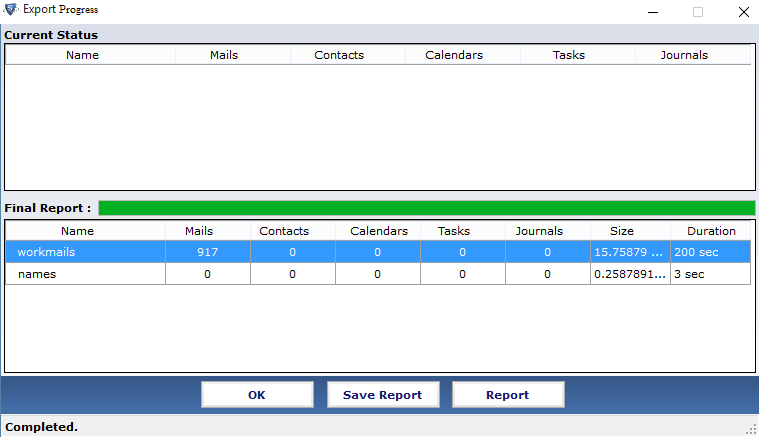 With this, you can effectively manage and organize the data on Outlook. With Most Advanced Convert NSF to PST tool, you can easily detect and convert the Canonical Names into SMTP format. To use this option you have to use the advanced settings option then Email Address translation. You can set the SMTP name for complete names or can set for each individual in csv file format. If the Lotus Notes NSF file contains the duplicates emails then you can use “Remove Duplicates Option” to filter it out with the help of Lotus Notes to Outlook migration tool. You can also set the fields by which tool determine the duplicates such as Full Name, Mail Address and Mobile Number and much fields are there on the list. 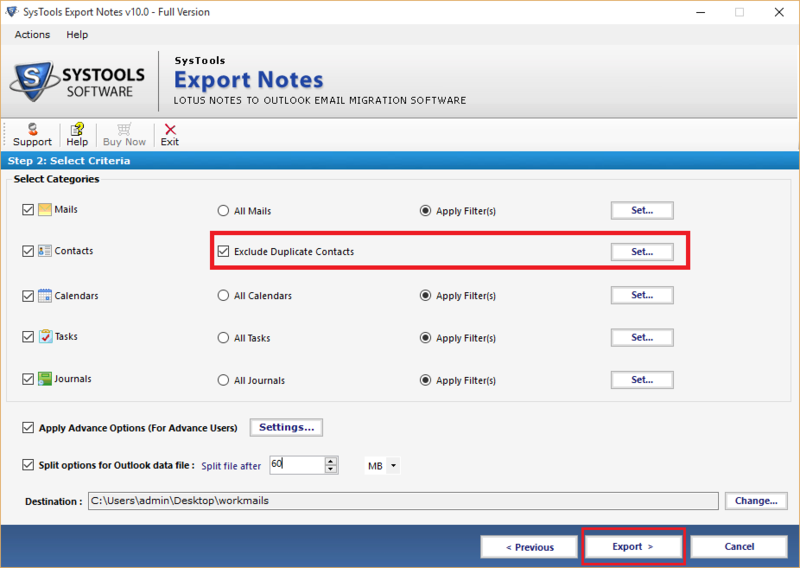 The Export Notes tool provide you the facility for bulk migration of lotus notes to live exchange server with enterprise and technician license. This facility is not available in personal license or business license. You can effectively use the date filter option to selectively convert the journals or to-do list to outlook pst file. For this, you have to define the "To" and "From" date range to filter out the Notebook entries and To-do list items of Lotus Notes Database. 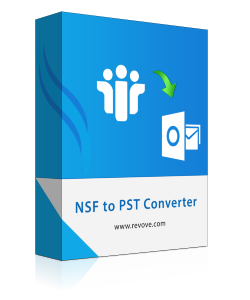 The NSF to PST Converter provides the PST Data file split option to divide the resultant PST file created. You can also use the Auto Split option but for this, you have to specified Size of PST file in MB/GB. The tool automatically split the file once the PST file reaches that limit. Demo version of NSF to PST Converter Software allows Converting and saving first 25 Items from each folder. Lotus Notes – Lotus Notes 9.0, 8.5, 8.0, 7,0, 6.5 and 6.0 versions are supported. Is there any pre-requisites to use the software efficiently? YesTo use the software effectively, it requires the Lotus Notes Environment in offline mode. If it is not installed then some of the Notes components are unable to export. Can I able to export encrypted names.nsf file to pst using the tool? Yes, Definitely you can export password protected or encrypted names.nsf file to outlook pst. What would the size of PST after the conversion? The Size of PST file depends on the data you export from lotus notes to outlook. As per NSF file concerned, there is no such limitation imposed by software. Can I perform the bulk conversion of NSF file to PST file? 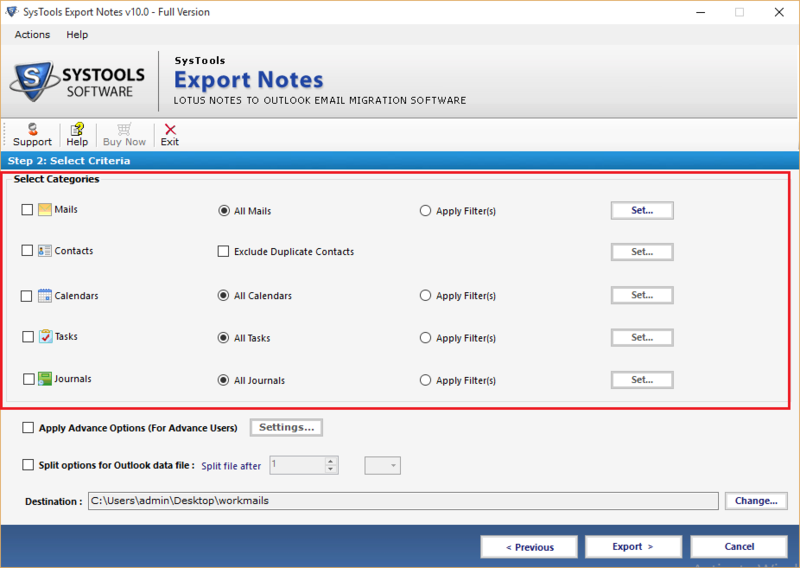 Yes, With the use of Export Notes tool, you can easily perform the bulk conversion of NSF file to PST file. Does MS Outlook Installation necessary for convert nsf to pst? Yes, it is important to installs Outlook for convert nsf to pst otherwise the tool does not work. How can I remove the duplicate contact from Lotus Notes database file? There available in the tool to remove the duplicates contacts based on the multiple field set such as Name, Number, Address etc. I was stunned when I saw the result of NSF to PST Converter. The Conversion result was outstanding without any type of data loss. It effectively converts my password protected names.nsf file to pst in quick time. It saves my lot of precious time and money as well. Therefore I would like to recommend it for perfect migration of Lotus Notes to Outlook. Thanks for such nicely built innovative software. For Switching from Lotus Notes to Outlook, I was searching a solution that can easily migrate lotus notes emails to outlook with complete items. I have found some software as well but the result was not as per my ease. Then I get to Know about nsf to pst converter from one of my friends. I downloaded its demo version which impressed me the lot to buy the full version. The tool is totally worth for the money. Nice! Tool. Good luck!